Point2 Homes gives you far more than a simple list of houses for sale. Get instant access to a lot of relevant information about Calgary, AB real estate, including property descriptions, virtual tours, maps and photos. The search results pages also have a wealth of information on Calgary, AB, if you scroll all the way down. There are 5,912 houses for sale in Calgary, AB. 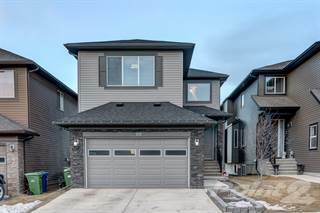 Searching homes for sale in Calgary, AB has never been more convenient. 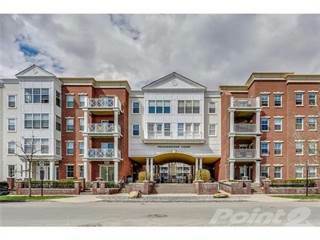 With Point2 Homes, you can easily browse through Calgary, AB single family homes for sale, townhomes, condos and commercial properties, and quickly get a general perspective of the real estate prices. Also, you’ll never miss a bargain if you filter listings based on house price drops in the past six months. Use the map view to find Calgary, AB homes and apartments for sale, based on amenities or city features that you may want close by. You can close in on a specific neighbourhood or area by simply drawing around them with the polygon or radius tools. Stay informed about the latest entries on the real estate market by saving your searches. This way, you get new listings in your inbox, daily or every week, based on your preferences. If you’d like to get in touch with a professional, agents are displayed next to their listings, and they’re easy to contact through the online forms. If you want more options, you can click the Tools tab and Find an Agent, and you’ll get a list of helpful and knowledgeable real estate agents in Calgary, AB. Visit the Point2 Homes blog and you can find up to date expert advice on many markets throughout Canada, regular market reports, neighbourhood scoops in cities throughout the provinces, real estate deals and useful recommendations. Calgary is the largest city in the province of Alberta with a population of around 1,230,000 citizens. It occupies a total of roughly 5,100 square kilometers of land and is located in the southern area of Alberta. As a city that has hosted the Winter Olympic Games in 1988 and proven itself to be the country’s leader in economic growth, it is becoming an increasingly eye-catching city for those who seek to live in a large metropolitan city outside of Ontario. Northwest Calgary consists of neighbourhoods that are mostly residential in nature, with the structures being built as early as the 1950s. This area has the largest proportion of condominiums and apartments, with around 40% of the semi-attached and detached homes being used for renting to prospective tenants. The rest of the homes are mostly larger mansions and bungalows that have a 7-figure valuation price tag. Given the amenities available within these homes and their close proximity to nearby essentials within the city, the real estate market here is very competitive amongst high net worth individuals and families. As a larger city, Calgary is one of the few cities in Canada that boasts a respectable skyline. On Crescent Road, for example, you can capture a scenic view of the downtown area and see how well the city’s skyscrapers blend in with the rest of the city’s buildings. If you are a fan of architecture, The Bow comes highly recommended from those who live in the city. It is a gorgeous masterpiece made of steel and glass. With multiple performing arts centers, shopping centers of all sizes, local farmer’s markets, hundreds of restaurants and pubs, and museums, you will be extremely hard-pressed to have nothing to do while you are in Calgary. The most popular spectator sport in Calgary is the Calgary Stampede, a 10-day festival that is a throw back to the days of old Western life and is known as “The Greatest Outdoor Show On Earth”. People dress up as cowboys or cowgirls and enjoy many of the rodeos and races that come with the event. Due to the incredibly large size of Calgary, it is generally accepted that the city is divided into quadrants (Northeast, Northwest, Southwest, Southeast). Each of these quadrants contains at least 20 different neighbourhoods or more. Even though each of these neighbourhoods differs with respect to real estate and available amenities, they share some defining characteristics that make up the respective quadrant that they belong to. Northwest Calgary is home to many neighbourhoods including Greenview, Hawkwood, Varsity, and Sherwood. You can expect to find multiple grocery stores, recreational sports centers, medical centers, and outdoor parks within this quadrant. The homes that are closest in proximity to all of these amenities have extremely high value in the real estate market. Northeast Calgary’s neighbourhoods include Taradale, Conventry Hills, and Whitehorn and are best known for the entertainment that they provide to their citizens. You can expect to find zoos, movie theatres, bowling centers, skating rinks, and dance clubs for those who are looking for a fun night out. Southwest Calgary is the quadrant that contains Calgary’s esteemed downtown area. Many of the large corporations and prestigious smaller businesses tend to aggregate within this quadrant. People who like skyscrapers and other high-rise buildings would be wise to book a spot in the southwestern quadrant of Calgary. Southeast Calgary is the best quadrant to be in if you are looking to spend most of your time eating out and enjoying the best in fine dining that the city has to offer. Whether you are in the Auburn Bay or the Mahogany neighbourhood, there is always something for the residents in this area of the city to enjoy. Other notable amenities include casinos, public libraries, comedy clubs, and various entertainment centers. Northwest Calgary consists of neighbourhoods that are mostly residential in nature, with the structures being built as early as the 1950s. This area has the largest proportion of condominiums and apartments, with around 40% of the semi-attached and detached homes being used for renting to prospective tenants. The rest of the homes are mostly larger mansions and bungalows that have a 7-figure valuation price tag. Given the amenities available within these homes and their close proximity to nearby essentials within the city, the real estate market here is very competitive amongst high net worth individuals and families. The northeastern quadrant of Calgary is home to higher-end detached homes that are built with a modern design in mind. This is reflected both in the exterior design and in the design of the bedrooms, bathrooms, kitchen and living room areas. Certain districts have a much higher number of semi-attached townhomes, but these tend to be within the more suburban neighbourhoods. 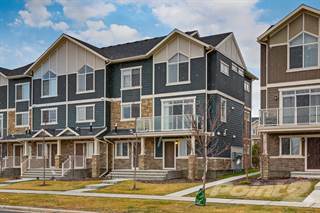 Calgary’s southeastern quadrant contains some of the newest homes that the city has to offer. Most of the homes that are available include mansions, bungalows, and many other detached homes that occupy large lots. It is not uncommon for owners to install pools, giant playgrounds, and the occasional tennis court in their backyards with the space that is available to them. In the southwestern quadrant of Calgary, you can expect to find a healthy balance of high-rise condominiums and larger mansions. This is a direct reflection of the high-income individuals and families that work and live within this quadrant of the city. The following table, based on data taken from the Canadian Real Estate Association (CREA’s) National MLS® Report for July 2016 (the latest information available), demonstrates how homes in LSTAR’s jurisdiction continue to maintain their affordability compared to other major Alberta and Canadian centers. There are a multitude of post-secondary institutions within the city, the most notable one being the University of Calgary. Its IT department is one of the top research institutions in the country, best known for the many contributions that its research has made to the fields of science and technology. A fun fact that most people don’t know is that the invention of the neurochip originated from researchers in this university. As per the elementary schools (K-8), a large majority of the highest-ranked schools in the province tend to be in Calgary, with Edmonton coming a close second. These rankings are based on advanced education opportunities, standardized testing, and quality of education as rated by the students and their parents. Some of the notable schools in Calgary for their superior education include Clear Water, Master’s, Webber, Elbow Park, and St. Luke. Calgary is one of the fastest growing cities in the country with respect to its economy. This can be attributed to several factors. The job market continually sees yearly growth in several industries including finance, gas and oil. With an extremely high concentration of entrepreneurs and small businesses, record-low unemployment, high averages for household incomes, and a sky-high GDP per capita, it is not hard to see why Calgary has achieved the economic success that it has today. Even though oil and gas play a large part in contributing to the city’s GDP, they have decreased in their level of importance over the past decade. Conversely, the retail sales, business, health, and transportation sectors have seen an increase with respect to the role they play in improving Calgary’s economy. This is due to the fact that employment in these areas has sharply risen in recent times.